We are a rapidly growing music festival set in the heart of northern Warwickshire, bringing a little bit of Glastonbury to the Midlands. 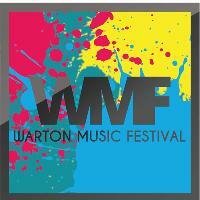 Attracting over 6,000 local revellers, Warton Music Festival celebrates the best local music talent, family entertainment, a range of authentic pop-up shops and a delicious variety of food stalls. With fantastic camping facilities, set in the idyllic scenery, it’s a popular choice for community to come together and celebrate the summer. There’s something for everyone. Three stages provide a diverse variety of music genres to suit all tastes, with big top circus marquees alongside an outdoor main stage taking pride of place with an idyllic countryside backdrop. There’s even a funfair too!